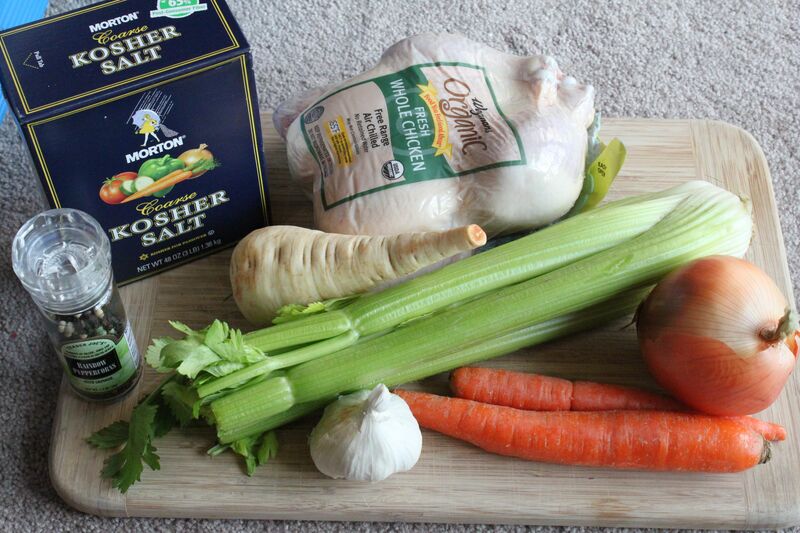 For my first recipe, I decided to go with a staple – chicken stock. While I use canned or boxed chicken stock as default, home made always tastes better. Also, my caring instincts kicked in when J got sick and chicken soup has magical curing powers (it’s science), so it all fell into place. Yes, that is carpet in the background. Creativity is key when your kitchen doesn’t have good light. I tried making chicken stock once before with the chicken carcass along with the usual carrot, celery, onion in my crockpot, and I didn’t get the intense flavor I was looking for. This time, I tried using whole chickens and the result was much better. A few notes on the stock. 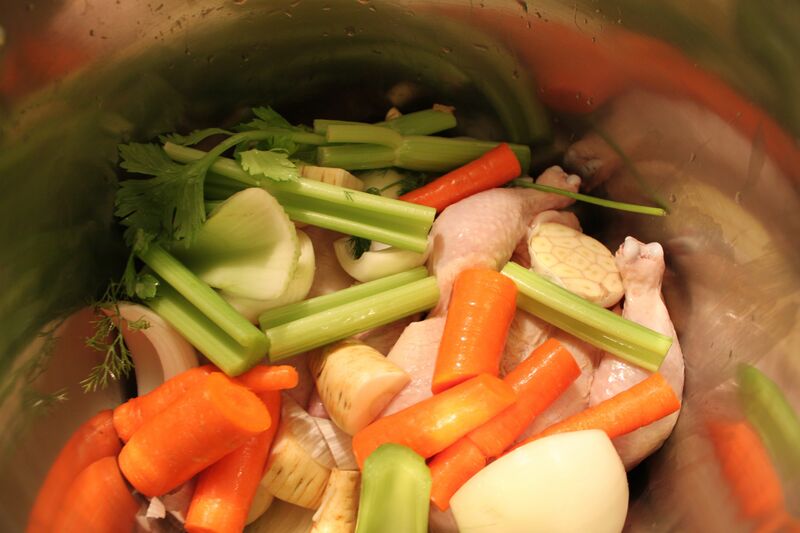 Because of the long cook time, the stock cooks down which helps intensify flavor. Yes, 24 cups of water seems like a ton, but because it reduces, you won’t be getting 24 cups after you are done. You can also halve this recipe if you don’t have a pot that is big enough. Categories: soups/stews | Tags: basics, chicken stock, soup, two coast kitchen | Permalink.